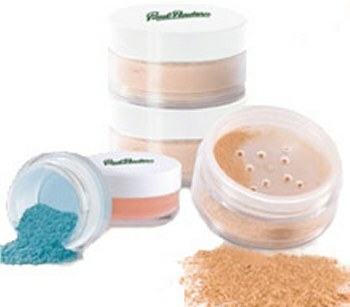 In the middle of August, I had received en email from Stella, saying she is interested in Paul Penders products. At the same time, Paul Penders Australia had just start up in Perth. Therefore I forwarded the email from Stella to Bee to contract her for further information. I am glad to hear that in such a short time, Bee had contacted Stella and arranged to do a facial using the full range of Paul Penders products. “First of all, I would like to thank Bee and Calvin for their hospitality and their help with finding my way through the Paul Penders product range. In May this year my partner and I moved from the Netherlands to Perth, Western Australia. After I finished the skin products I took with me from the Netherlands, I had to find new products here in Australia that would suit my sensitive skin. There were a lot of choices, but not a lot of products could comply with my conditions of a skin care product: not tested on animals and of an organic nature. The products of Paul Penders did! Bee organized a fantastic facial treatment so I could try everything Paul Penders has to offer. The products were very gentle on my skin and the results showed an immediately positive effect. Congratulation Paul Penders Australia!!! I am sure there will be lots of inquiry coming and many people will start loving Paul Penders, My way of life… naturally yours. In the first part we discussed the special event on 18 and 19 September in Kuala Lumpur, Malaysia’s capitol with an exciting contest followed by professional “before and after” photo shootings free for each participant. 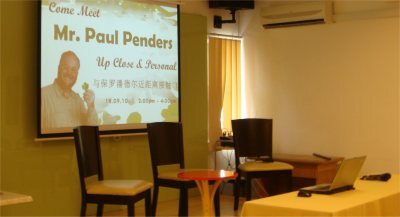 We are very are proud to mention here that there are already 4 Paul Penders Natural Organic Beauty Centers in Kuala Lumpur! And… many more will follow in the next few years. For the second day of this successful event, the Paul Penders HQ team from Langkawi UNESCO Geopark island was invited to the newest Paul Penders Beauty Center. 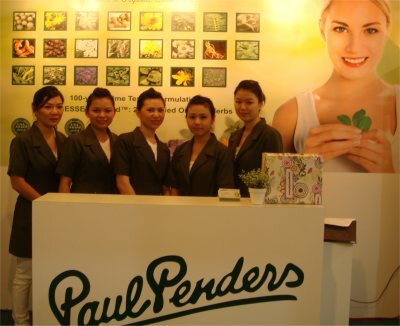 We felt very touched by all the efforts that NIC Int’l made in promoting the Paul Penders products. 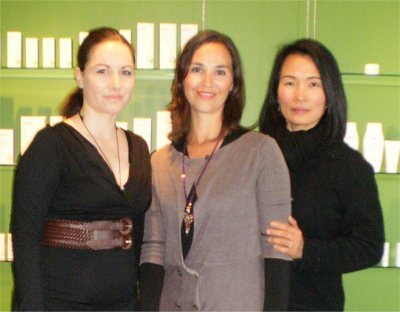 Paul Penders newest Natural Organic Beauty Center is the largest of the other Beauty Centers and employs 5 licensed beauticians to provide a full range of facial and body treatments exclusively with Paul Penders products. 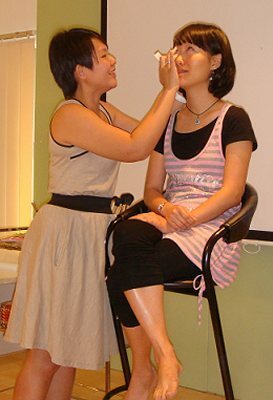 They also provide free consultations on beauty and health issues and promote a holistic approach to natural beauty. On the second day of this event, especially for consumers wanting to know more about the Paul Penders Company could listen to a speech by Paul about our products, how we start the company and our successes in America. 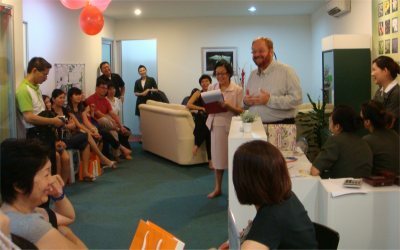 Then NIC Int’l, Paul Penders exclusive representative for Malaysia, organized a lucky draw session for all supporting Paul Penders products. These images show a very happy crew that day! Actually record sales were made in only 4 hours time. Of course, that made all of us very happy. 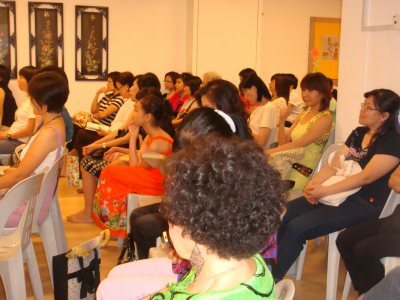 In the next 12 months, NIC International plans to open several more Paul Penders Natural Organic Beauty Centers in Kuala Lumpur followed by strong expansion throughout the whole of Malaysia. 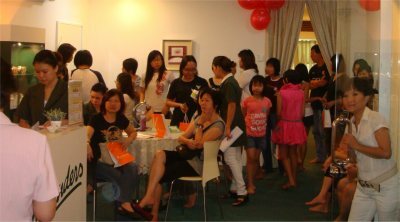 On the weekend of 18 & 19 September Paul Penders Malaysia’s active distributor NIC Int’l had organized an Open Day at 2 places in Kuala Lumpur, the beautiful capitol of Malaysia. During these thrilling events full of activities, Paul was invited to speak about how he started the company back in The Netherlands. 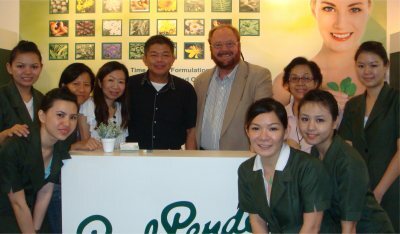 How he did start making the LevensESSENTIE Gold ® natural extract from 22 certified organic herbs. How he fought against the Dutch government when he refused to test our products on animals that ended up in the Paul Penders Co needed to flee Holland because the Dutch FDA government officials came out to close the factory. On the opening day, consumers were able to discuss further on the products with Paul Penders himself. Paul and Phoebe (VP of Nic Corporation) discuss matters with a very satisfied customer using Paul Penders natural cosmetics for more than a year. During the 2-day events, Pei Ling, Paul Pender professional makeup artist who is well-known for her creative work in Malaysia, performed on-stage a lively demonstration on Paul Penders natural organic makeup and explained the special, simple makeup techniques making it possible to achieve unparalleled results with organic makeup colors! A great special was offered for Paul Penders product purchases of over USD100 where consumers were entitled for a FREE makeover session & a professional photo shooting section! It is obvious that the first day was a great success! 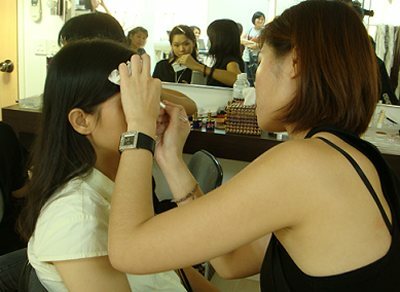 Makeup and photographs were taken all day long and in the next issue we will show you the “before and after shots”. Unbelievable results and very, very happy customers. Then before closing of the day, Paul had an interview with the China Press Newspaper that ended the first day of this wonderful event. We are very thankful for the enthusiasm and for future plans enfolded by our distributor in Malaysia for the Paul Penders products in Malaysia! Those Darn Chemicals! To some chemicals are dangerous. Others wish they could completely avoid chemicals. But the truth is we cannot live without chemicals, not even for a second. Everything you can see or touch, except light and electricity is a chemical. Water, milk, vitamins, food, air; each of these are made entirely of chemicals and all living things are 100% chemical. Everything (including nature) is made completely out of chemicals, so they can’t be all bad. In fact, the overwhelming majority of chemicals you’re exposed to during your life time will be safe and harmless. It is Organic so it is All-Natural… right? 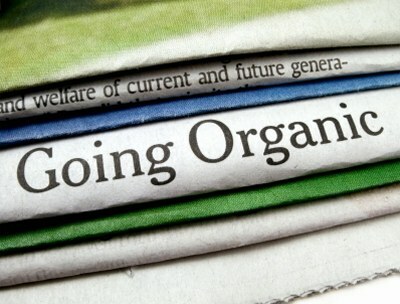 Organic is such a misunderstood word. Organic substances are primarily composed of carbon. Since all living things are carbon-based, they are organic. Just about everything on earth is organic, with the exception of rocks, sand, air, metals and water. Not surprisingly, the vast majority of cosmetic ingredients in your cosmetics are organic. And so is also the plastic container, the cap, the ink and the labels. Just about any type of product can claim to be organic, including artificial nail enhancement products, fibreglass resins, adhesives, removers, monomers, polymers…. these are all organic…. 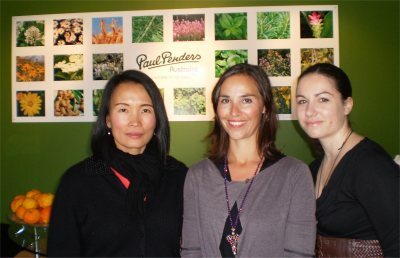 Of course, all you Paul Penders Natural Herbal Cosmetics are made with natural and certified organic ingredients. We go through great length to give our customers the best they can get! Our LevensESSENTIE Gold® herbal extract is made from certified organic herbs extracted in our own facilities in Langkawi UNESCO Geopark Island. A product with the name Paul Penders guaranties you the best money can buy! But be extra cautious if your cosmetic product claims to be only and for 100% is Organic, is 100% Free of Chemicals, and is 100% natural. Don’t be fooled but informed! Excerpt from “Give me 100% Organic!” by Doug Schoon, an internationally-recognized scientist, author and educator with over 30 years experience in the cosmetic, beauty and personal care industry. A leading industry authority known for his technical and regulatory work that has helped shape the beauty industry. 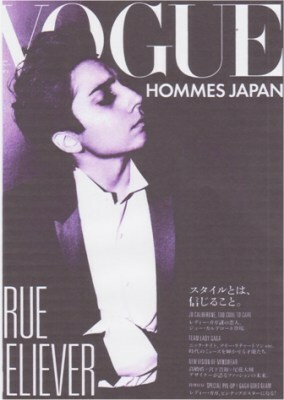 Paul Penders Intensive Hair Repair Therapy was tested in Japan and now recommended as one of the best hair products for men by Vogue Japan in September 2010. Thanks Vogue Magazine for recommending Paul Penders Intensive Hair Repair Therapy for men…! 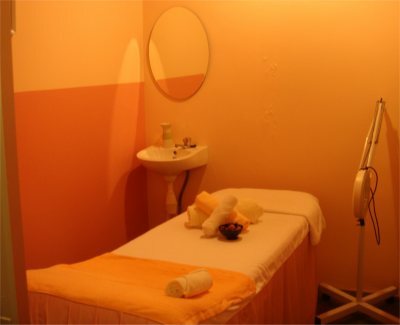 This invigorating treatment revitalizes and restores hair to its natural beauty. Contains essential fatty acids, plant extracts and essential oils to restore balance to dry, damaged, permed or color-treated hair. Leaving it glowing, manageable and beautifully healthy. It also targets repairs split ends. Directions: Apply generously and massage through hair and scalp. Leave for 10 to 30 minutes. Rinse well. 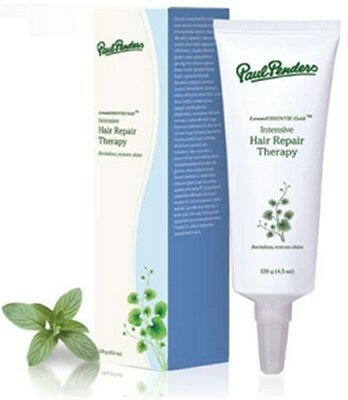 Use daily or weekly after Paul Penders shampoo and conditioner.